The Depil Pads from Cosmeto Nature are the quickest and easiest way to remove excess or unwanted hair. These useful pads act as a hair remover, while also exfoliating dead skin. 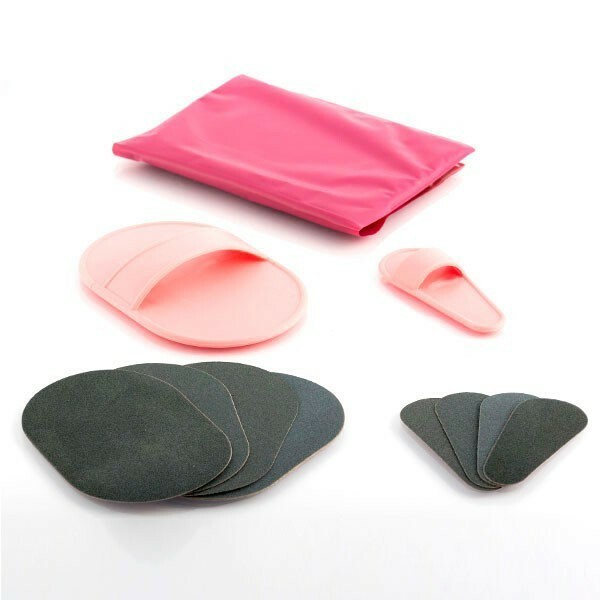 They can be used on both the body and face, by applying the pad and massaging in a circular motion. These easy pads will leave skin smooth and unified, with all traces of hair removed. They combine 'flex-crystal' technology with soft yet sturdy rubber. The Depil Pads pack contains 1 large glove, 1 small glove, 5 large and 5 small spare discs, and a storage case.